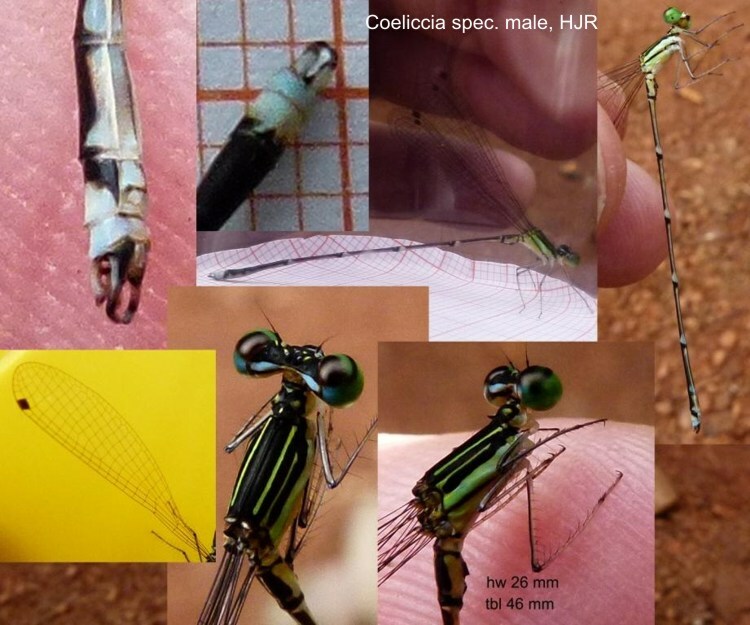 Decembre 2010: The photos show one female and 2 different male Coeliccia. 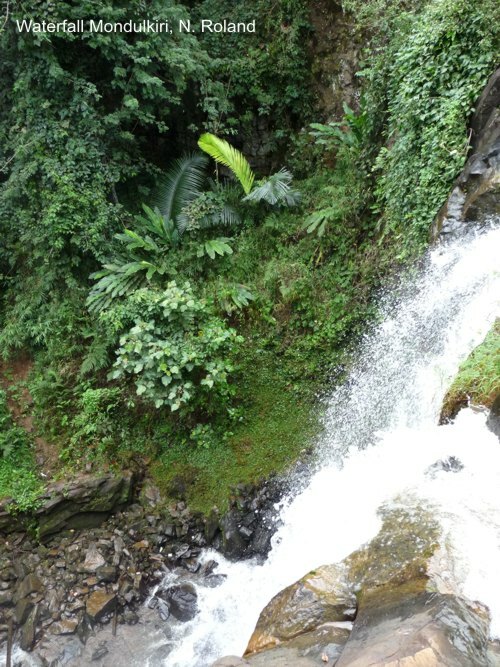 The males eventually are different species. 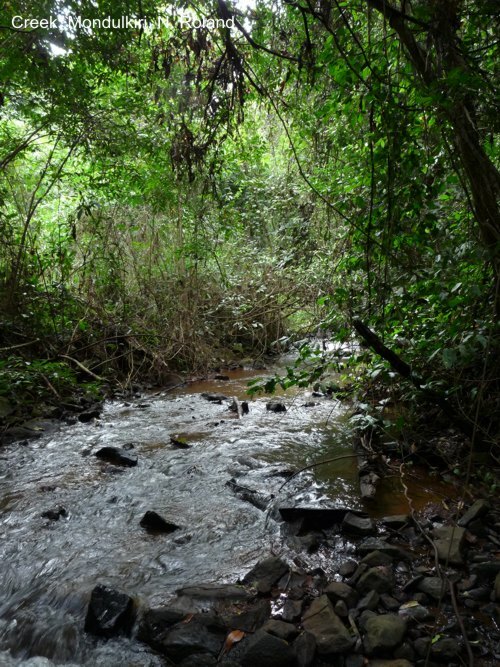 All were found close to the vietnamese border in Mondulkiri. 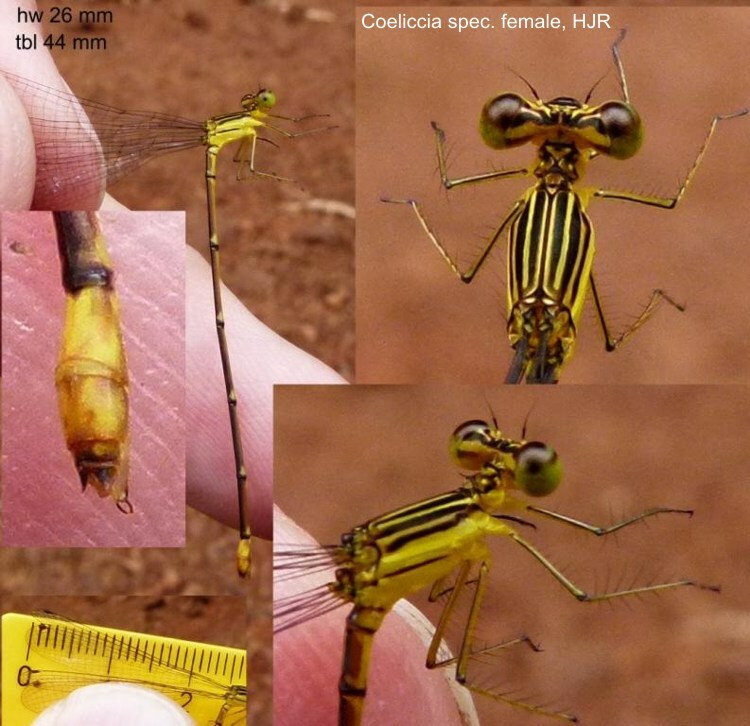 There is a good chance, that atleast the female and the male (left Photo) show an undesribed species of Coeliccia. Nevertheless both males show the exact same appendages, which look like the ones of C. kazukoae. The second male was fresh. The wings were not totally hardened, see fotos below. October 2017: This species was desscribed by Oleg Kosterin and Tom Compier published in Zootaxa 4341 (4): 509–527: "Coeliccia rolandorum sp. 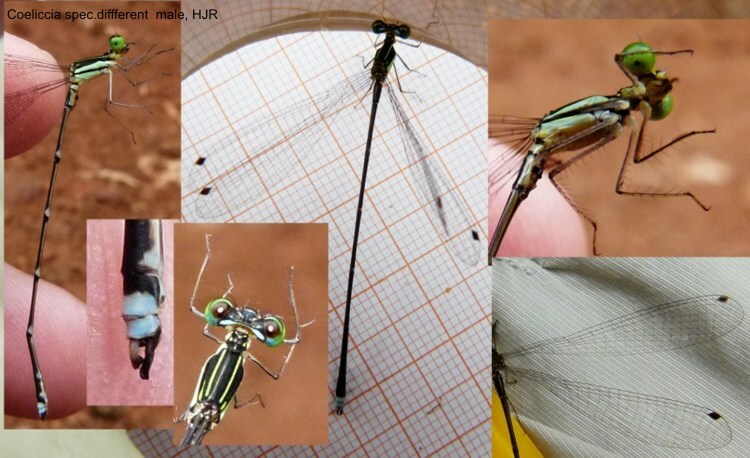 nov. from eastern Cambodia and southern Vietnam, the eastern relative of C. kazukoae Asahina, 1984 (Odonata: Platycnemididae)"